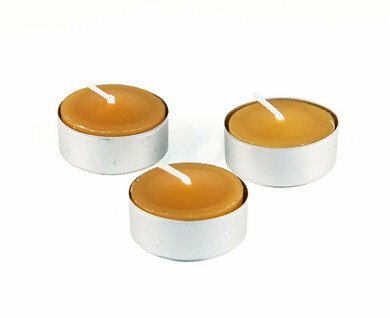 Tealights made of 100% pure beeswax are even more impressive, with a longer burn time that is smoke-free, a warm natural glow and a pleasant honey aroma that will delight your senses. As with all Honey Candles® products, these tealights are environmentally-friendly, handmade with all natural and toxin-free ingredients. These brilliant tealights come in a readily recyclable aluminum cup.